What do Barbra Streisand, Pete Townshend and Gerard Butler all have in common? All three suffer from tinnitus. And they’re not alone. Around 6.5 million people in the UK and 700 million around the world have some form of tinnitus. Even children as young as ten have been reported suffering from the symptoms of tinnitus. Because tinnitus – a word related to the Latin for ‘ringing’ – is a completely internal condition with no external symptoms, it can be both frustrating and isolating. 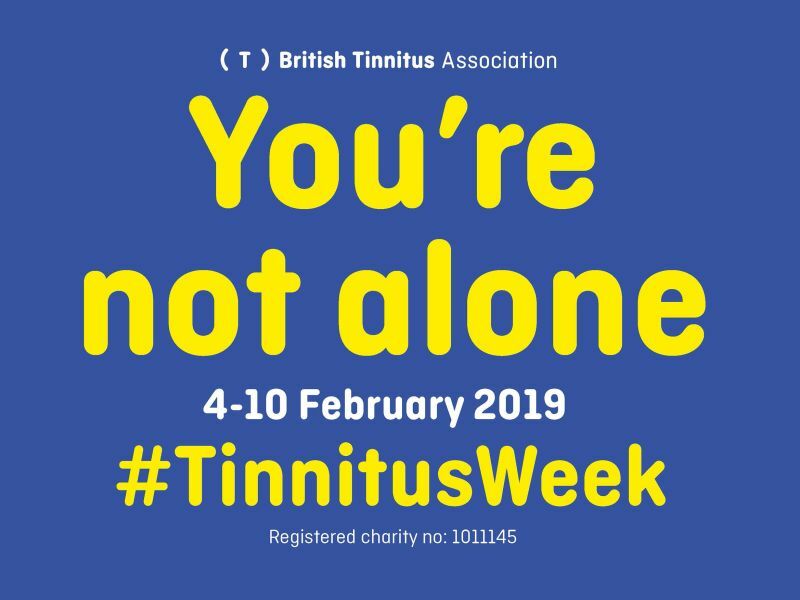 That’s why the British Tinnitus Association has created Tinnitus Awareness Week, which this year runs from the 4-10 February. This year’s event aims to remind tinnitus sufferers everywhere that they’re not alone, that they needn’t give in to isolation and loneliness. To support Tinnitus Awareness Week, we’ve put together a quick-reference guide to the symptoms and causes of tinnitus, and the treatments available. What is it like to suffer from tinnitus? We all know the symptoms of tinnitus: a ringing in the ears, rushing sound, clicking noise or other sounds that have no external source. If you’ve ever been to a very loud concert or nightclub and experienced a temporary ringing or rushing noise the next day or immediately after, then you know what it’s like to have tinnitus. There is no predictor for who will develop tinnitus – it can affect anyone. But avoiding loud noises can reduce the risk. Long-term exposure to excessively loud noises has been identified as a strong risk factor. Two-thirds of people with tinnitus also have hearing loss. Loud noises (anything above 85 decibels) over sustained periods of time can damage the tiny hair cells in your ear, deep inside the cochlea. Unsurprisingly, many musicians have tinnitus, including Chris Martin, Phil Collins, and Eric Clapton. Tinnitus can also be triggered by stress, certain drugs, ear infections, injuries, neurological disorders, metabolic disorders(such as diabetes) and diseases like Ménière’s. Tinnitus can be aggravated or even caused by a build-up of earwax in the ear canal. Having it professionally removed (NEVER use a cotton bud!) could help your tinnitus symptoms. Leightons offers a quick and painless wax removal service. Modern life is noisy, so it pays dividends to protect your hearing and follow some of the sage advice in this blog post. We should all carry a set of ear plugs to help cut the volume of potentially harmful everyday sounds that could lead to noise-induced hearing loss or tinnitus. Although there’s no cure for tinnitus, there are plenty of ways to manage it. Hearing aids can help; most new models include a tinnitus function that ‘distracts’ your brain from tinnitus sounds. There’s also a number of therapies you can try. Cognitive Behavioural Therapy (CBT) focuses on mental control, helping you keep the negative feelings at bay and ultimately making tinnitus noises less noticeable. Alternatively, Sound Enrichment Therapy takes a similar approach to the hearing aid functions mentioned above. Repetitive natural sounds – the sound of gently lapping waves or rain quietly pattering on a roof – can help mask tinnitus sounds. If you need advice on treatments for tinnitus, drop into your local Leightons branch or contact the British Tinnitus Association. Book a Leightons appointment onlineor call us on 0800 40 20 20.